The Center for Research of Attention and Behavior offers free comprehensive assessments for boys and girls ages 8-12. Parents with children who may be experiencing difficulties with attention, learning, memory, and concentration are encouraged to contact us (including those previously diagnosed with or suspected of having ADHD). The Center for Research of Attention and Behavior also provides free evaluations for children who are not experiencing any difficulties, but whose parents would like to learn more about their child’s strengths and weaknesses. 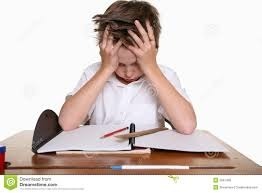 Evaluations consist of gathering historical information, a diagnostic interview, parent and teacher ratings, full scale intelligence testing, academic achievement testing, objective measurement of activity level, as well as measures of learning and memory. **Both children with ADHD and children that are not experiencing any difficulties are welcome to participate. Parents who are interested in obtaining a free comprehensive assessment and evaluation for their child are encouraged to contact us at (405) 744-2828.